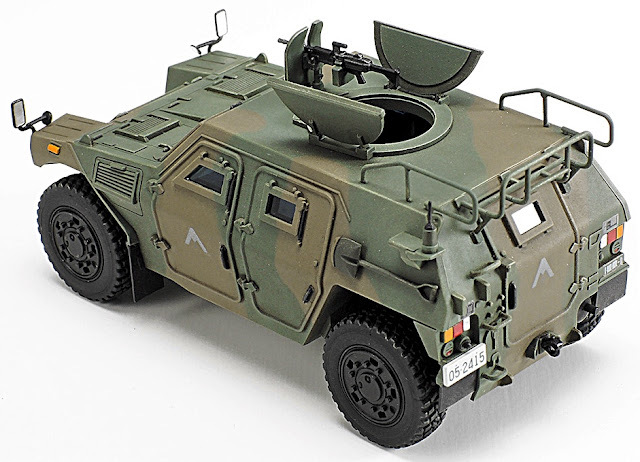 THIS TAMIYA KIT COULD MAKE A HUGELY USEFUL addition to a military display. 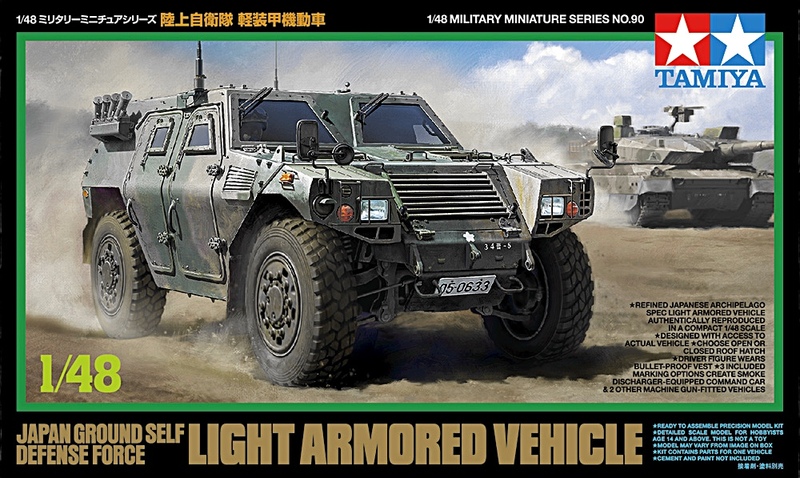 Produced to Tamiya’s usual high standards, the LAV (Light Armored Vehicle) makes an Asian-sourced counterpoint to 1:48 scale machines from other kit makers, such as Airfix. SMN report: The LAV (Light Armored Vehicle) first went into service with units of the JSGDF (Japan Ground Self Defense Force in 2002. It was designed as a fast and manoeuvrable machine, capable of reaching up to 100 km/h (60 mph) over rough terrain. In 2004, the JGSDF sent LAVs to Iraq on humanitarian assistance duties. The experience led to various upgrades, also useful for deployment back home in Japan. The LAV's compact size means that it can be transported by aircraft such as the Lockheed Hercules, or be slung under a helicopter such as the Boeing Chinook. The Tamiya kit is not exactly large when assembled (below). The completed LAV sits on your palm at a length of less than four inches. But while it may be small, it is pretty much perfectly formed, as they say, with the Tamiya signature semi-matt finish on many of the components. Not only does this look good, but it helps when applying a camo finish. 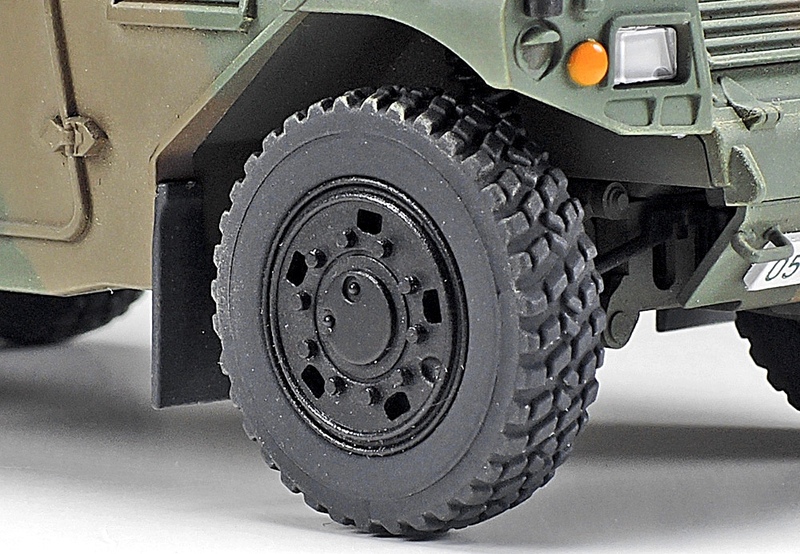 Nicely moulded tread patterns (below) help realism. Suspension details are neat, though they are non-working, hardly surprising at this size. 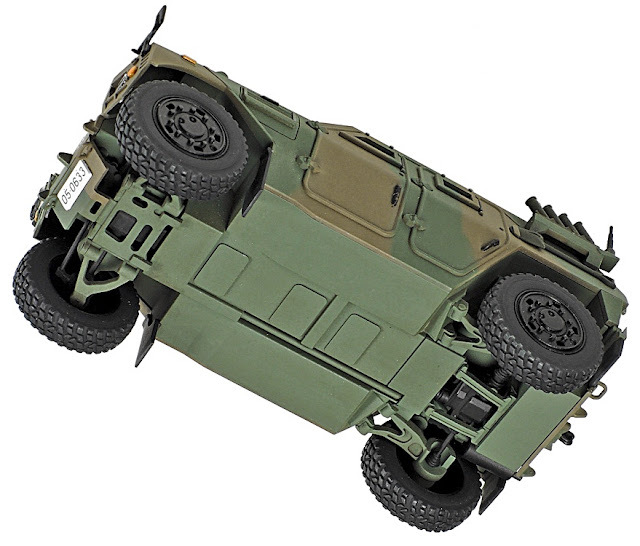 The flat underpan (below) is accurately portrayed, as are the wheel and suspension components. Slab sides are faithfully rendered (below) as are the antennas, rear-view mirrors and smoke dispensers, here shown attached to the LAV’s chunky rear shoulders. The roof hatch can be shown open (below) or shut. 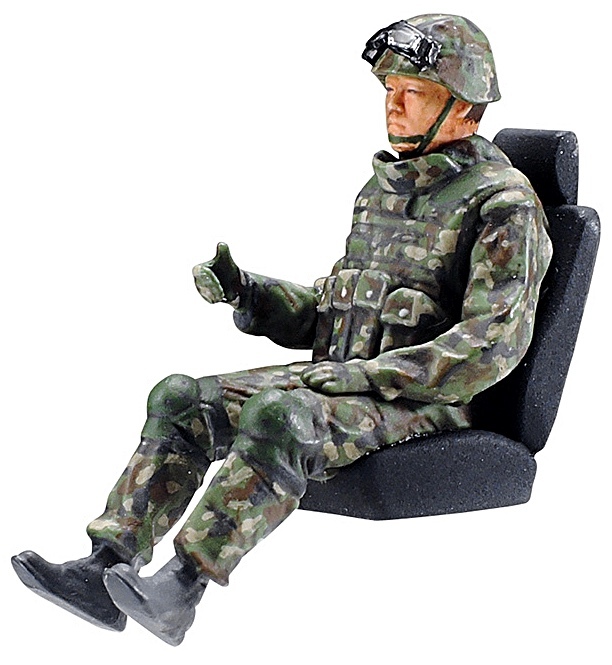 A machine gun can be added, as can rear rails, depending which of three LAV versions you wish to portray. Optional components are supplied for all of these. Tamiya supplies a nicely-sculpted driver (below) who is shown dressed in state-of-the-art bulletproof combat gear. Neat elevation drawings (below) provide full information for markings and colours. The LAV (below) is shown with another Tamiya 1:48 scale military kit, the JGSDF Type 10 main battle tank. The Type 10 main battle tank (below) is reckoned by Tamiya to be “a compact masterpiece.” And that’s a description we’d have to agree with. 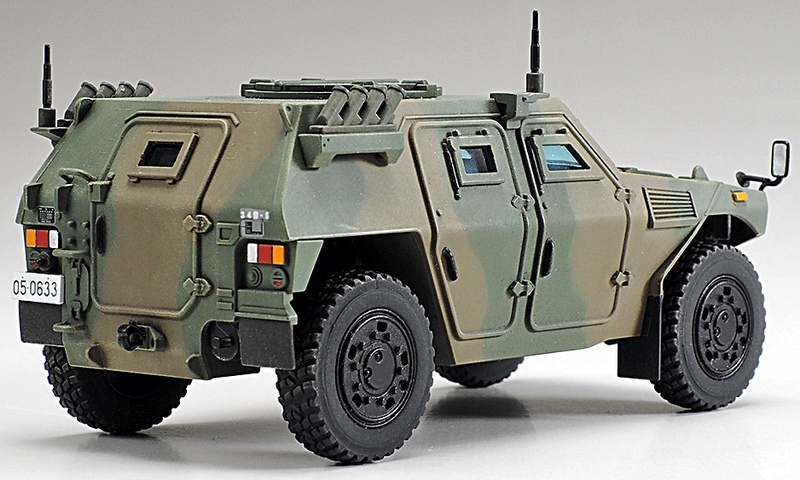 If 1:48 military machines are your thing, then both the LAV and the Type 10 ought to be on your build list. The JGSDF LAV is a neatly produced miniature. In a perfect world, we'd see more opening or positionable parts, but the relatively small 1:48 scale makes that quite difficult from a manufacturing point of view. So far as appearance goes, the LAV is unusual enough to be used in a sci-fi or alt-history display. 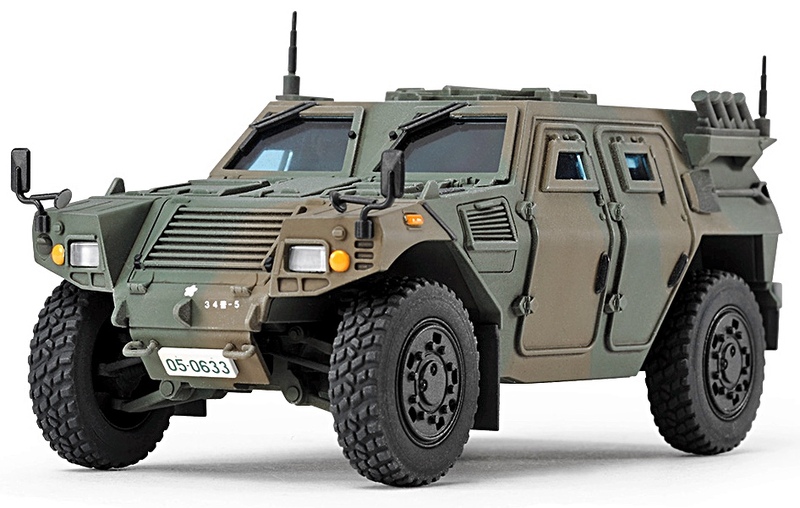 Its unique non-Hummer appearance would be a bonus if used as a piece of tech in (for example) a scene depicting a base on an alien world.